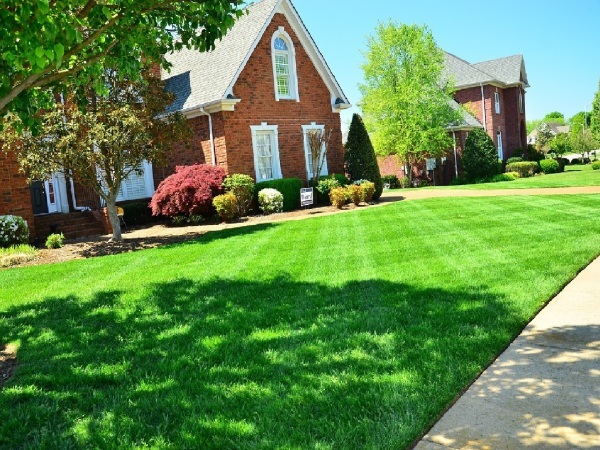 A properly cared lawn also benefits the environment by producing oxygen, reducing carbon dioxide, reducing water runoff and reducing temperatures. Regular lawn mowing allows you to enjoy your summer, and is an integral part of the overall health of your lawn. 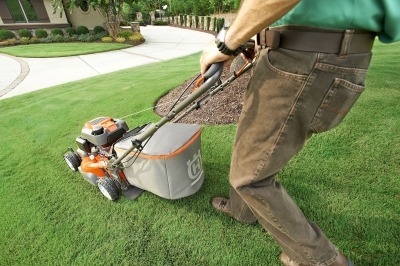 We provide professional lawn mowing service that also includes grass trimming and blowing clippings from walkways. A truly professional service that you can rely on! 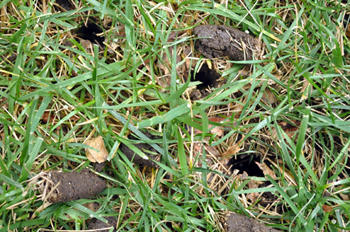 The core aeration process creates many holes in the lawn approximately three inches deep and removes a plug of grass, thatch, and underlying soil. This allows your lawn to be less compacted, and permits oxygen, moisture, and nutrients to reach your lawn's roots. 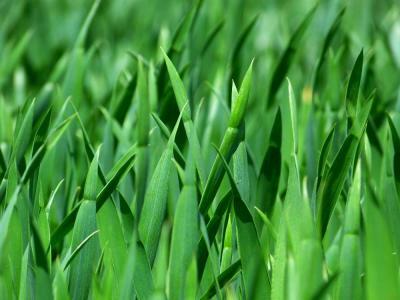 This in turn, allows your grass to be healthier and more vibrant. Some of the benefits of aeration are increased water uptake, less water runoff, improved fertilizer response, reduced soil compaction, improved resilience to heat, drought and insect stresses In our climate, lawn aeration should be done at least once per year for typical lawns. Your lawn is normally made up of a number of layers, including soil, roots, living grass, and thatch. Thatch is a layer of dead and decaying material between the living grass and soil. Over time, thatch can build up to the point that it can harm your lawn by limiting the amount of air getting to the soil, and also harboring insects. Dethatching is the process of reducing this thatch layer to a more manageable depth. Our team is trained to determine the amount of thatch to be removed.